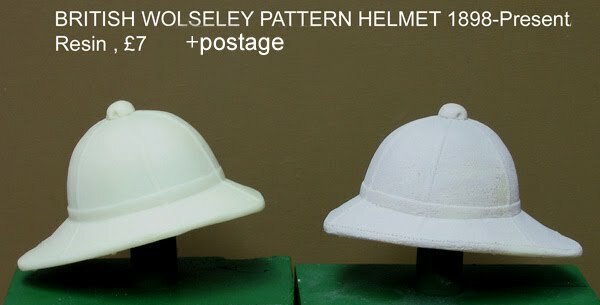 Resin cast headgear. 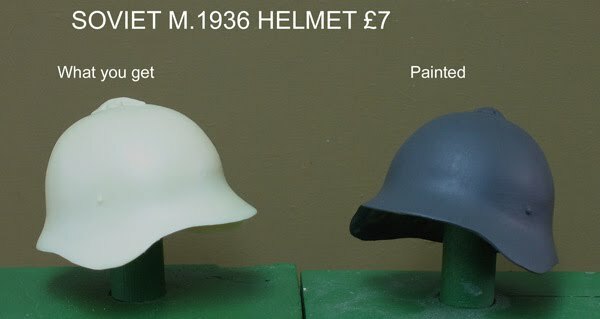 Liners and straps NOT supplied, but the Brodie and the Stahlhelm have the bales & buckles included. All £7 each + postage. As used in the Zulu War . Slightly larger than the commercial DML/DiD versions , with a better shape at the back . From left, the Indian made FSH type , which has a longer squarer back ; The Officer pattern, Typical for 1880-1900. 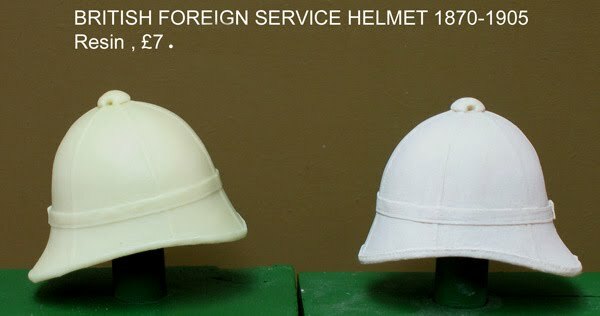 The covered type, as used in the Boer War ; and the Sola Topi , introduced in the 1920s and worn through until 1946, seeing actual frontline service in Burma and Africa. If you need to add a pagri to the frist two of these, I recommend 6mm silk ribbon. 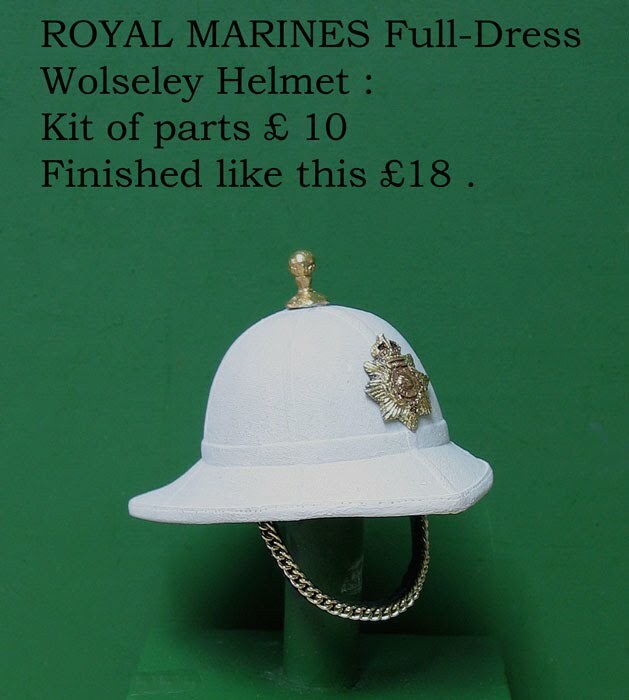 As used by some Officers in the Boer War, by all Ranks in WW1, and still today as Dress by the Royal Marines. 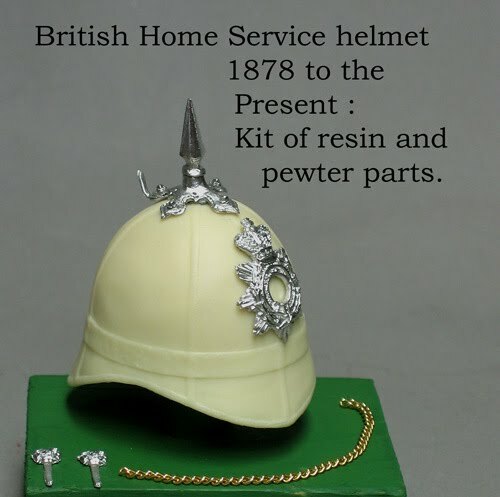 Still officially the Full Dress headgear of the British Line Infantry. 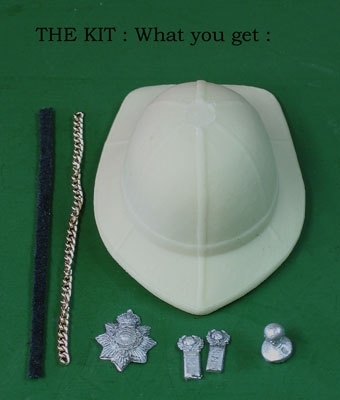 Because of the badges , this item as a kit is £10 . 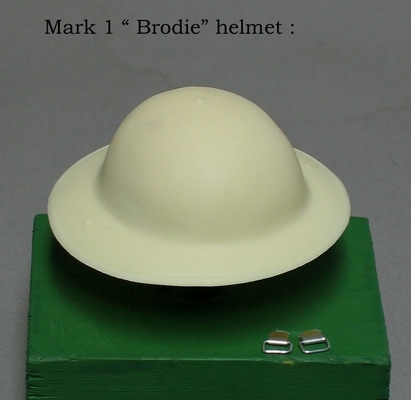 The Star Plate will need a little badge of your particular Regiment adding in the centre. 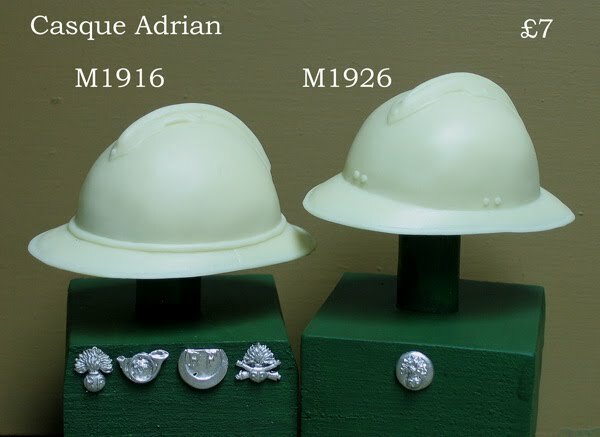 I have available both models, the M1916 as issued from 1915 during the Great War , and the M1926 as worn in WW2. Infantry , Chasseurs, Colonial , Artillery etc. Please specify when ordering. Both types are £7 each + postage.